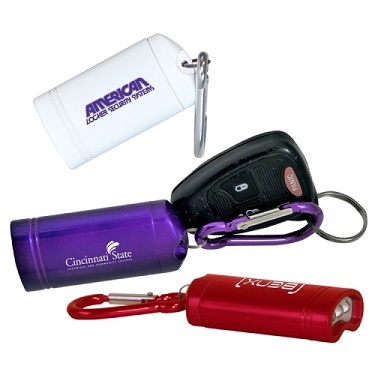 Our Custom Printed Flashlights are perfect for giving away at trade shows and events to promote your business. 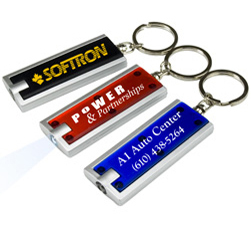 Print your company logo on the flashlight and you have an illuminating traveling billboard. We offer many different sizes and styles. There's one to light up your advertising budget. 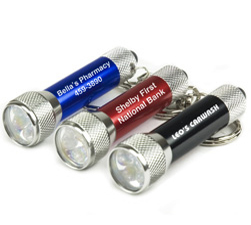 Slim Line LED Flashlight Keychains - This best selling flashlight for a low cost. Safety whistle and red light on keychain. Great for parents, kids, scouts, hikers, technicians and general fieldwork. Convenient carabiner clips onto bags, belt loops and key rings. 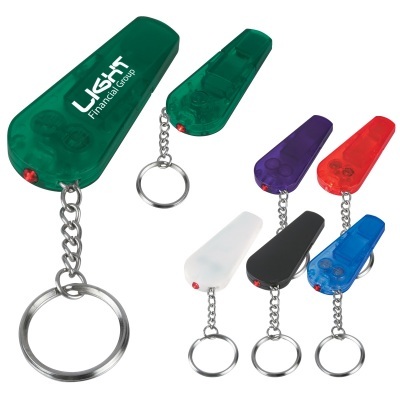 Pull flashlight from magnetic cap to activate the 3 LED lights. Carabiner allows you to clip it to an item to keep it handy. Comes with two CR2032 replaceable batteries. 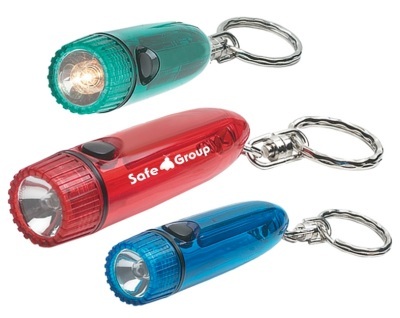 Super bright mini LED Flashlight with swivel keychain. Flashlight shaped like a torpedo cylinder. Uses one AAA battery (included).